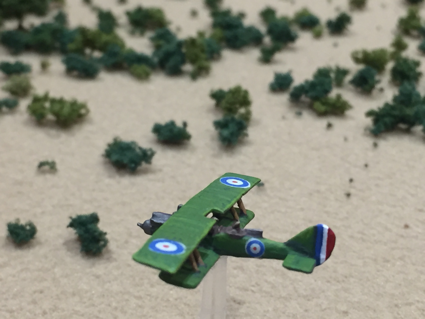 Welcome to the Great War Spearhead website, devoted to the WW1 ruleset from Shawn Taylor. 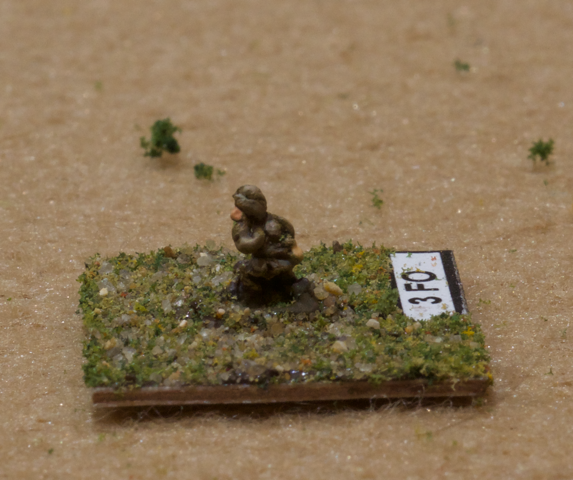 This 6mm Baccus figure is using a field telephone. 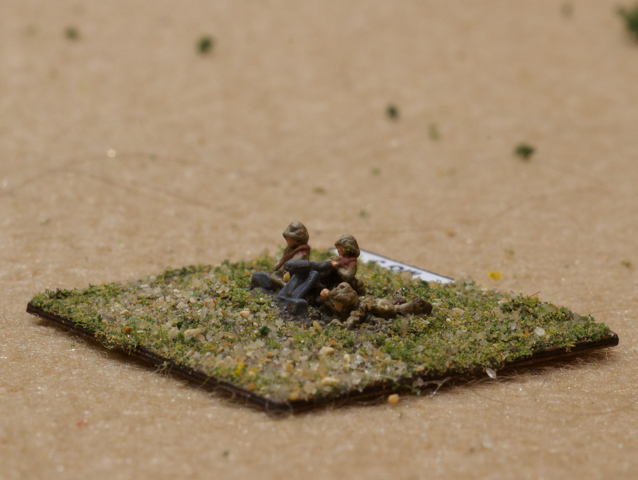 This stand represents a company of MG08s. 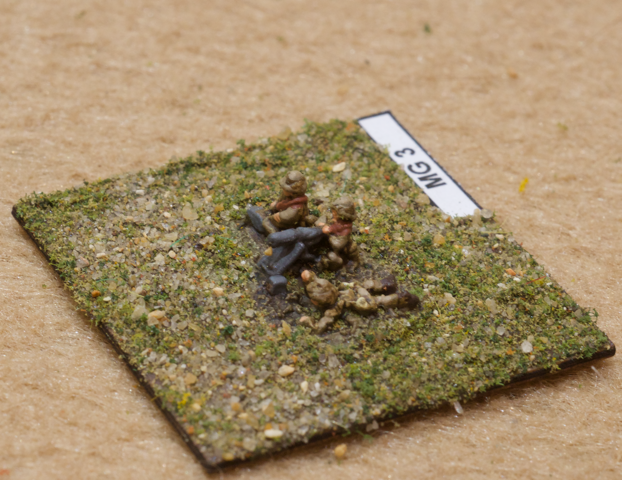 There is a kneeling loader, a seated gunner, and the NCO lying prone with his hand raised. 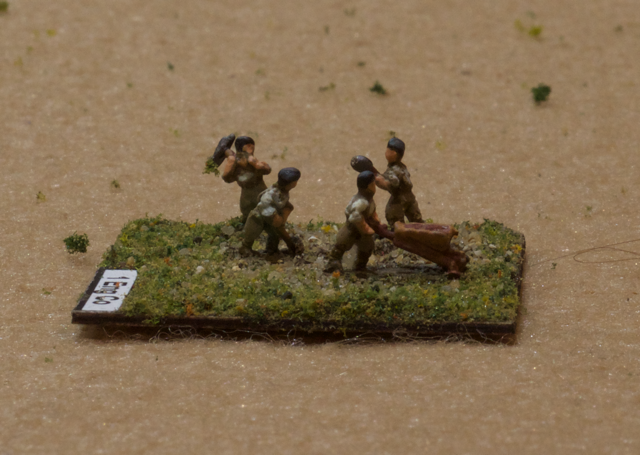 Here we have Baccus 6mm Ottoman army engineers digging up the only piece of grass in the area. 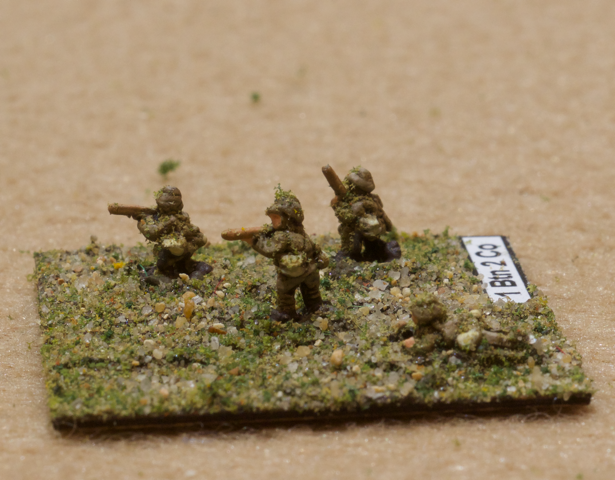 Still, needs must… This is a generic set of models, which work well for any army. 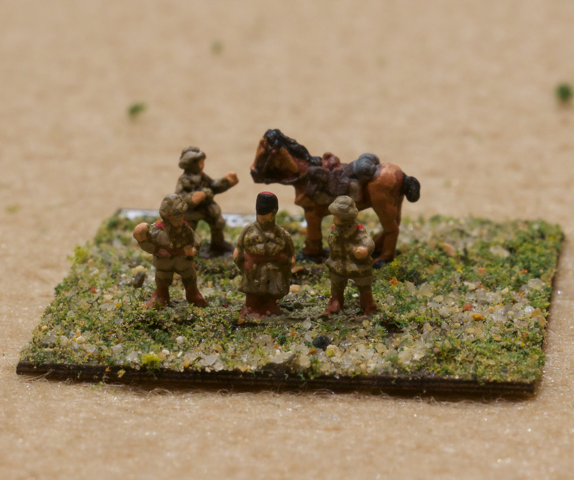 After an enforced pause due to work, it is back to the Gallipoli campaign preparations. 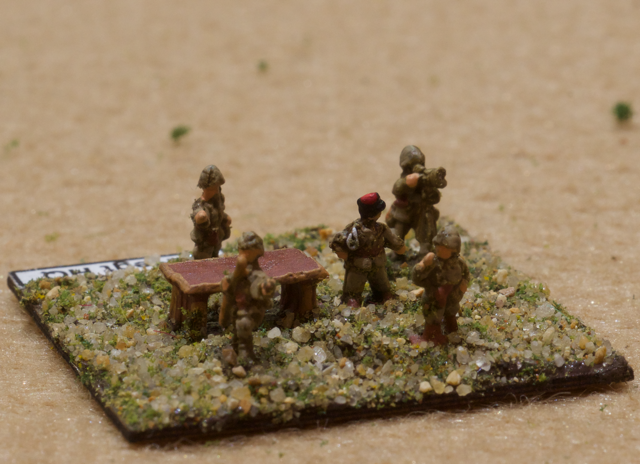 The Ottoman defenders have been painted up and based. 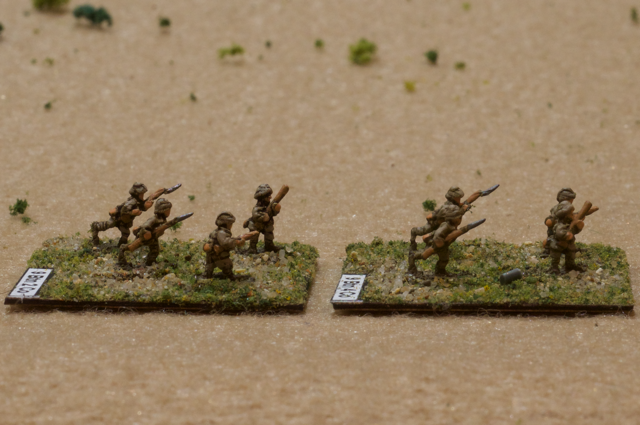 These are Baccus 6mm Ottoman field guns. 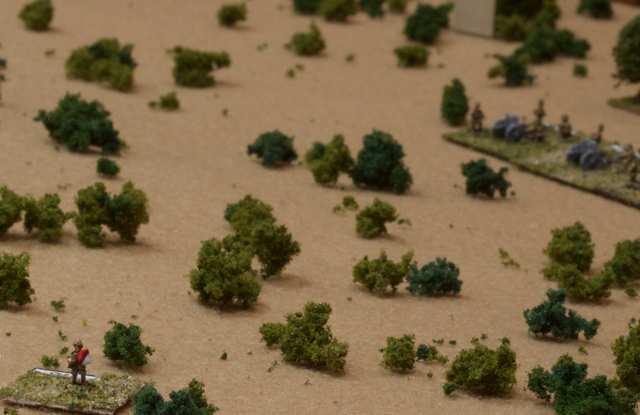 Each stand represents a battery of guns in Great War Spearhead. HMS Terror was an Erebus Class monitor. It carried two 15” guns. Although she did not serve in support of the Gallipoli campaign, monitors were used there. 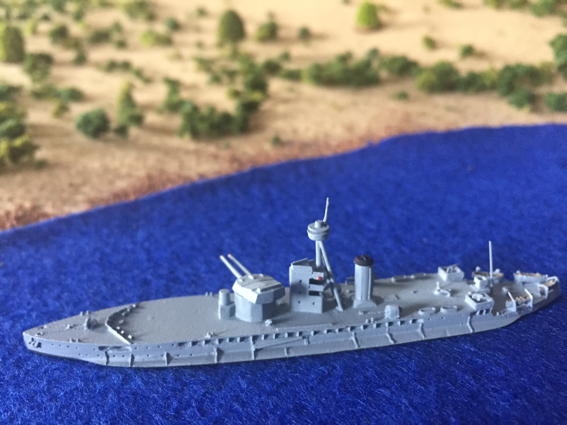 Their shallow draft meant greater protection against torpedo attacks, which accounted for some of the battleships and forced the Royal Navy to rethink how naval gunfire support was provided. 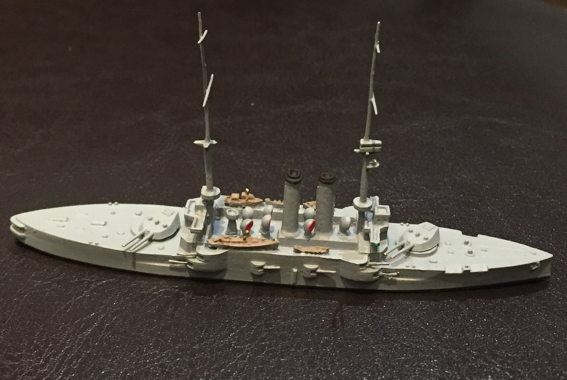 The model is from�Navis-Neptune in 1/1250 scale. Another Navis-Neptune model, this time of HMS Goliath. She was a Canopus Class�battleship that provided naval gunfire support in the defence of the Suez Canal and during the Gallipoli landings. Goliath was sunk by Ottoman torpedoes while off Cape Helles, with the loss of more than 550 crew. An Heroics and Ros RE8 in 1/300 scale. 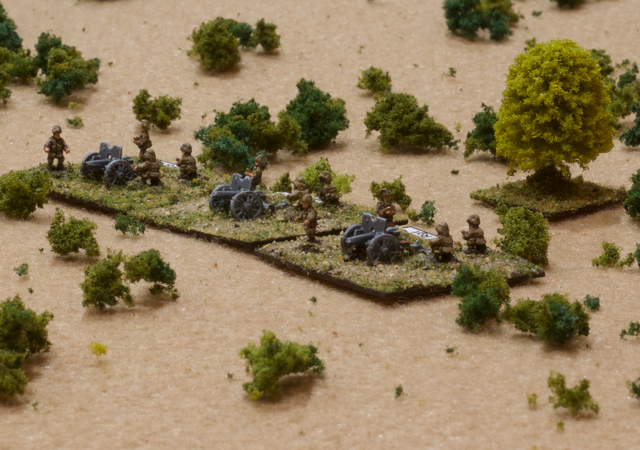 Not quite the right camoflague scheme for the terrain but it does help the model to stand out in the photo. Decals from I95.